Welcome To TCWM Music - TCWMMUSIC.COMTCWMMUSIC.COM | "Beyond Creativity"
TCWM Music is here to assist Christian musicians as they create, record, and produce their music projects designed to glorify Christ. TCWM Music is dedicated to supporting artists wishing to do something for the Kingdom of God whether it be large or small. We are your “one stop shop! for your music project! At TCWM Music Studios we have access to talented musicians, songwriters, arrangers, and composers to assist you on your project. All this is in a setting that makes it easy to relax and be creative. You get the benefits of the high dollar operations with a price that competes with anyone! We also do promotional and speaking CD’s and are experienced in creating original music for branding that provides sound recognition for your church or business at a great price. 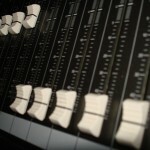 We are experienced in all phases of studio engineering, producing, mixing and mastering. Our musical experience extends from classical to country, jazz, rap, folk, contemporary, instrumental and vocal solo or choir. We have you covered! Roland Digital and a complete acoustic drum set to choose from. Our facility has a small ensemble room, a large vocal-solo booth and a main room that is large enough to record a 40 – 50 voice choir with complete rhythm section and soloist live. We have great acoustics! We are located in a comfortable and friendly setting that encourages creativity; a must see to appreciate. You will find when you visit TCWM Music Studio, a great blend of the benefits you expect in a big name studio and the comfort of feeling like you are home. Make your appointment and come visit our facilities! 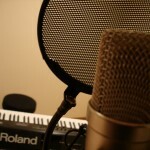 You will like what you see… TCWM Music is beyond creativity!